From the colonnade of his winery, Kettmeir oenologist Josef Romen looks out to the bottom of the hill. “Can you see that white house? I was born there,” says smiling. His profession has brought him back to his birthplace, to the very same scrap of land. Opposite lie the mountains of Alto Adige, behind lake Caldaro, and all around the vineyards and apple trees that are so typical of this area. ‘Tradition’ and ‘territory’ are two words that often recur during our interview. “After all, the winery is about to turn 100 years old,” Romen remarks. It all started in 1919, when the founder Giuseppe Kettmeir, agronomy student in Wien and wine buyer in Zurich, decided to set up a company in his homeland. 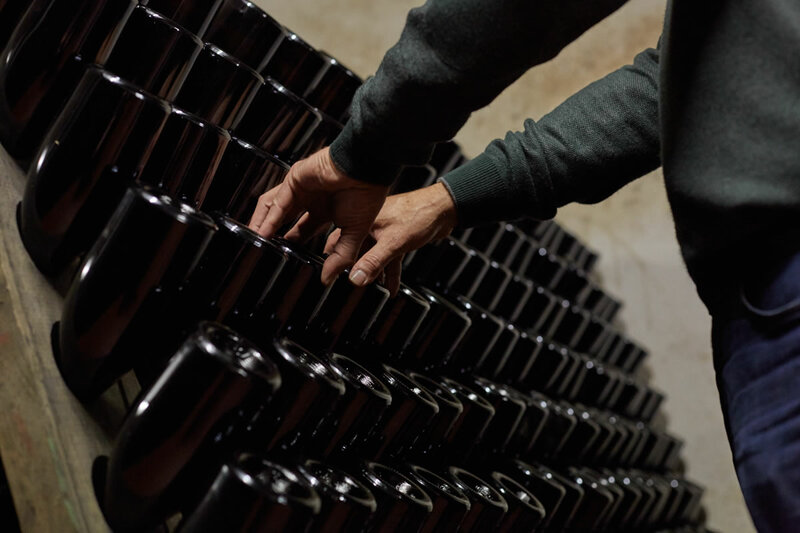 60 years later, Kettmeir had become the biggest winery in the South Tyrol, the first with an automated bottling plant. unsold bottles that they caused a slump in prices and the competition became almost impossible to withstand. That marked the comeback of a trend for South Tyrol that originated at the beginning of the twentieth century. Local documentation shows that the first spumante winery, based in Appiano, was already operational between 1902 and 1904. It produced spumante from Riesling vines for the Mitteleuropean aristocracy who spent their holidays in the area. At the time it was known as “Gold from beyond the Adige river,” but the sudden outbreak of World War I halted its production. In the years following the post-war economic boom, production recovered and today product awareness has also reached its peak. 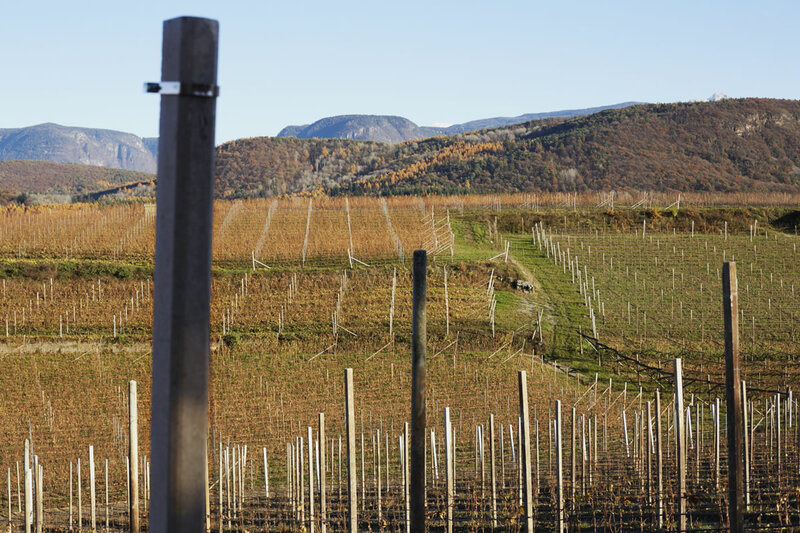 “Since the beginning of the last century, South Tyrol has gone through a deep transformation in terms of wine production,” states the oenologist. “When this was the most Southern part of the Austro-Hungarian Empire, wine production focused on red wine. After the annexation, it became the most Northern area of Italy, regarded therefore as perfect for white wine. That’s one of the reasons why during the years, the ratio has been inverted: until 1985, the production of wine was 85% red to 15% white, whereas now we produce 65% white and 35% red." Sparkling wine was always a bit overlooked. “It originates from a personal passion, from a totally idealistic spark.” And this is exactly what happened here. The Metodo Classico Riserva is the new development of 2017, exactly 25 years after the first Metodo Classico vintage. “It is certainly an ambitious product,” Josef confides. “Its profile needs to be more international if we want it to compete with sparkling wines from all around the world. 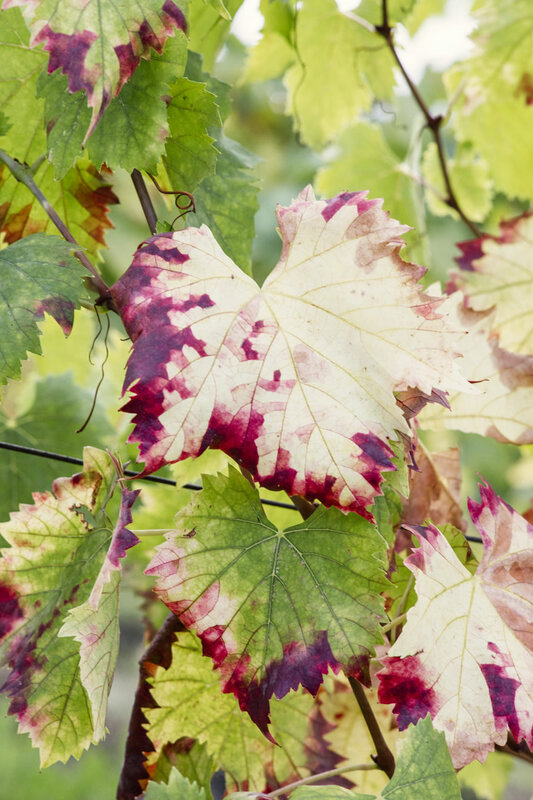 That’s why we also changed the vines to 60% Chardonnay and 40% Pinot Nero, which guarantees a stronger essence. You will still be able to smell the South Tyrol, but the 5-year-long yeast fermentation will give is a special, rounder note. The vines from this area have all the features to guarantee the future of this product, it will be less an immediate and direct but more austere and complex kind of spumante. The timing is promising – Brut from South Tyrol is now widespread and esteemed. “Our clientele has developed their own taste over the years. Our sparkling wines are not just for aperitifs. Metodo Classico Rosé can easily accompany any meal, thanks to its softness donated by the Pinot Nero. Brut on the other hand, with its aroma and freshness, is more suited to main courses. instincts, and at the same time, through the equally charming language that is ideal for giving a semantic structure to such intangible feelings. remaining not only separate but inevitably susceptible to being lost forever, unless frequently recalled. The way smells are stored in the instinctive part of the brain and suddenly resurface is a phenomenon with many examples in art, from the famous Madeleine anecdote in Proust’s In Search of Lost Time, to the astonished face of the critic Ego when tasting Ratatouille in the animated film, a past sensation that suddenly and vitally explodes but is often difficult to match with an image, let alone a name. (Distinctly) aromatic grape varieties – those with an intense floral/spiced flavor already perceptible when tasting the fruit, caused by specific volatile molecules present in high concentration that are unbound in the grape. This group includes various types of Moscato, Gewürztraminer, Torrontes and aromatic Malvasia. varieties range from hints of wildflower to herbs, spices, tropical fruits and hydrocarbons (Riesling). 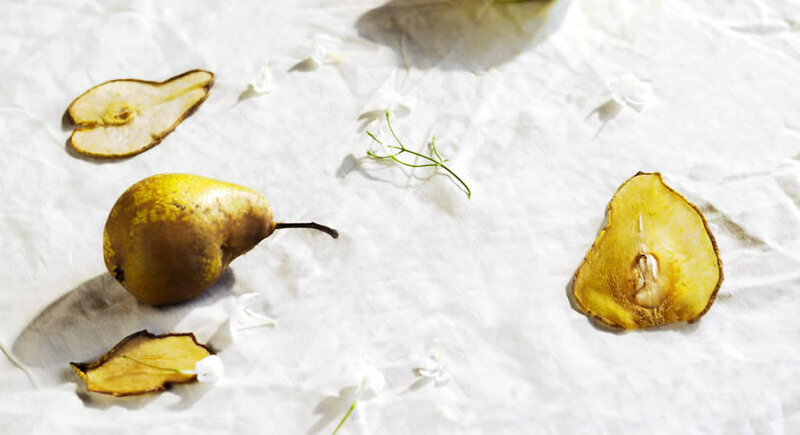 are characterized by classic fruity aromas, ranging from citrus fruits to white fruit (pear, apple), yellow fruit (peach, apricot) and very mature fruit (banana, pineapple). Oak-aged wine varieties – this is not so much an ampelographic classification as it is a production philosophy, used for the above three (but mostly frequently for non-aromatic grapes). This category refers to white wines fermented and aged in barrels, mainly oak. 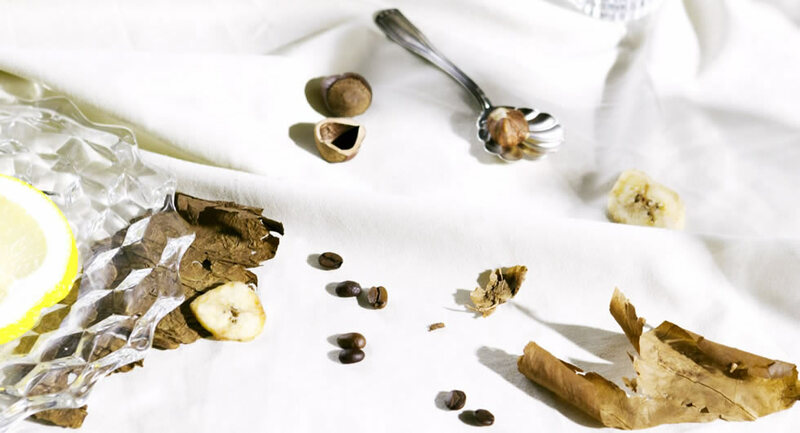 The aromas are thus influenced by the process, conferring them floral and ripe fruity notes, especially vanilla, caramel, roasted coffee, with the addition of butter and hazelnut following (likely) malolactic fermentation. circle that links personal emotions to nature and culture. So let us venture into fragrant wine country, equipped with these few useful facts, then it will be up to unexpected assaults by ancestral scents or sudden ambushes by unknown aromas to gradually develop our knowledge over time, provided we are driven by curiosity, passion and irony – the magical qualities of those who, wanting to discover more about a wine, end up learning more about themselves. This variety, born at the end of the 1800s when botanist Dr Müller from the Swiss canton of Thurgau mixed Riesling with Madeleine Royale, should be grown in areas with a high temperature range to guarantee the wine a wide variety of fragrant volatile molecules, belonging to the class of terpenes (floral notes), volatile thiols (medicinal herbs, tropical fruits), volatile phenols (spices) and hexanol (freshly cut grass, sage). These varietal aromas complement and overlap with those that result from the fermentation esters, with notes of fresh and ripe fruit. The translation of the name immediately gives away the aromatic nature (Gewürzt means ‘spiced’ in German) of the wine. 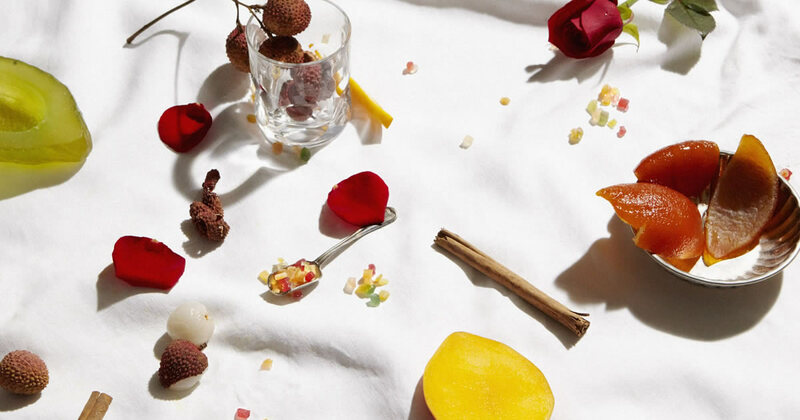 Together with Moscato, it is considered to be the most fragrant grape due to its high concentration of terpenes; the volatile molecules responsible for the intense perception of floral notes. 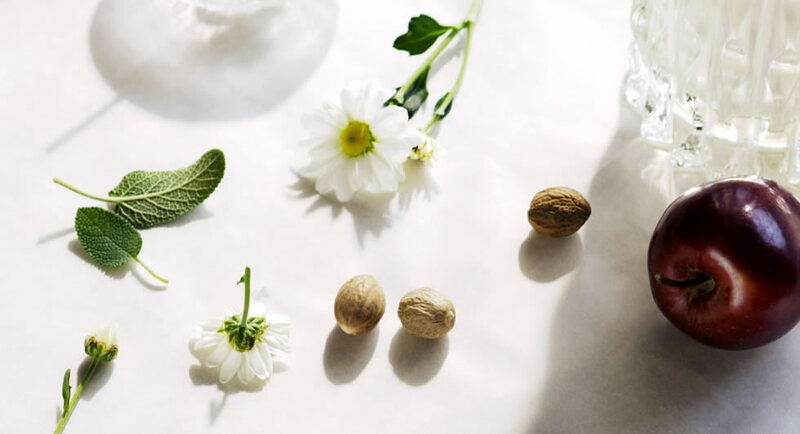 In addition to linalool (orange blossom) and geraniol (geranium), citronellol (lemongrass), terpineol (lily of the valley) and nerol (rose) flavors are extremely active, obviously alongside the fermentation bouquet that confers notes of tropical fruit. This wine has great evolutionary potential given the high number of “bound” terpenes that may be freed during bottle aging. Chardonnay is certainly the variety that best expresses the sophistication added by fermentation and aging in barrels, with notes of vanilla, roasted coffee, resin, hazelnut and butter complementing the yellow flower and ripe fruit aromas arising from alcoholic fermentation. The greater elegance and richness of wines not only oak-aged but also fermented should be noted, attributable to the protective effect of carbon dioxide, the weakening of certain aromatic molecules and the exaltation of fruity, as well as spicy and mineral notes. 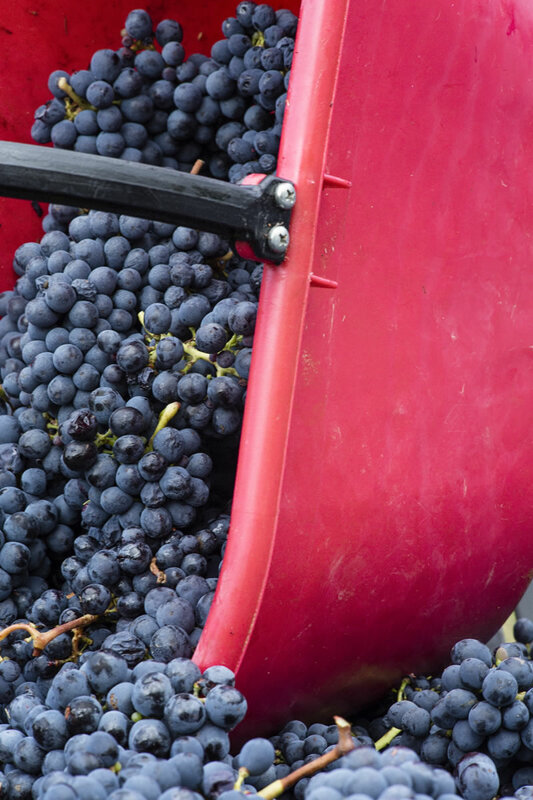 When grapes become wine – a journey through harvest season, from the fields to the cellars. Wine harvest is an ancient practice whose important social value was celebrated in Greek and Latin literature. It represents a moment of gathering and sharing, where people meet and where tradition and innovation, intuitiveness and science come together. Harvest is not only a time to pick grapes but also “An occasion for people to get together and work side by side for at least three weeks in a row. It’s a way of celebrating the end of the season and the final moments of working together.” Francesco, bright eyes and hands of a winemaker, takes us on a tour of Campolungo. This is a historic vineyard located in Lamole, in the town of Greve in Chianti. The area – close to Florence and bordering Siena – is home to the Sangiovese grapes that year after year constitute the Chianti Classico Gran Selezione Vigneto di Campolungo by Lamole di Lamole, the Tuscan wine producer Francesco works for. It is Thursday morning in early October and the harvest is well underway. Tractors and men at work are visible from a clearing along the road that gently ascends from Greve in Chianti to Lamole through a series of winding roads lined by cypress trees where men separate grapes from the branches meticulously and methodically. The person orchestrating the operations in one of the highest points of Chianti Classico is wrapped up in multiple wool jumpers as the temperature is always cold in Lamole (the village is 500 meters above sea level). He keeps an eye on the harvesting progress, as well as the weather – the wind is blowing and the clouds are moving rapidly, shadows and patches of sun rotate regularly, which means the weather could change at a moment’s notice and have an effect on the progress of the following day. Harvest is a very important word in this area. It is not difficult to understand why as one arrives in the village that sits on the hills of the so-called Chiantishire, a place that so many American and English tourists have fallen in love with. They fill up the restaurants and osterie in October, dining on chicken liver, truffle and of course, red wine. Rows of vines lie in neat lines, some following the slope of the land, others are planted on terracing with dry-stone walls that are typical of Chianti. The word Lamole derives from these terraces that from afar resemble tiny blades placed one on top of the other, initially caused by natural erosion of the stone, hence the name Lamole which derives from the Italian term for blade: lama. The practice of harvesting has ancient roots and its social relevance was a core theme of the works of Greek and Latin poets and playwrights. Bacchus and the Bacchae are one of the most popular representatives of wine in ancient iconography, ranging from the all-too-famous motto In vino veritas to the scientific and naturalistic interpretations of Gaius Plinius Secundus – better known as Pliny the Elder – the scholar who analyzed the properties present in earth in relation to the cultivation of the vine and the quality of wine. In his Naturalis Historia– written in the first century A.C.– not only did he list as many as 185 variants, but he also celebrated the supremacy of Italian wine over foreign ones. The uniqueness of this area is one of the reasons that make the Chianti Classico Lamole di Lamole so peculiar. The estate counts 173 hectares, 57 of which are vineyards, the first attribute that defines these vineyards – aside from the soil rich in clay – is the altitude, ranging from 400 to 650 meters which influences the mesoclimate and microclimate. From May to late August, Lamole experiences an inversion in temperature, with the heat of the valley rising to higher altitudes during the evening, whilst during the period in between September 1st and the harvest season is marked by a clear temperature change, with abrupt temperature differences between day and night. Monte San Michele protects the area from cold winds, making it particularly suitable for the cultivation of the vine. The timing of the harvest naturally also depends heavily on the climate, “In order to achieve the perfect process, one must pay attention not only to the new machinery available, but also to the aroma and phenolic ripeness of the grapes” says Andrea Daldin, who has been making wine for 22 years at Lamole di Lamole. “The harvest period is very precise. In order to time it perfectly, ancient winemakers observed the behavior of animals such as deer and wild boar, the most reliable tool to decide whether grapes were ready or not at the time. Today the techniques employed by the Tuscan company to decide the right time to pick grapes are very sophisticated and highly scientific; aromatic and phenolic progress is monitored on a constant basis.” However, numbers and projections must be combined with a good deal of intuition to produce a memorable harvest, even when that might not be the case. Next year will be crucial for Lamole di Lamole as the Tuscan wine producer will obtain certification that verifies its organic authenticity for its products produced from grapes harvested in 2017, the final stage of a process that started long ago. “Organic farming is not a fad, at least not for us,” continues Daldin. “It’s a real philosophy. First we assess the earth and subsequently the plant, as one is a direct consequence of the other. Our technological and scientific knowledge of the area allows us to cultivate an organic product better than we did in the past, but everything starts with respect for the land and the desire to produce sustainably. This is why an investment in machinery and technology should be accompanied by an investment in high-level professionals and trained personnel.” Over time, this personnel has replaced college students who were a natural choice to collect the harvest. 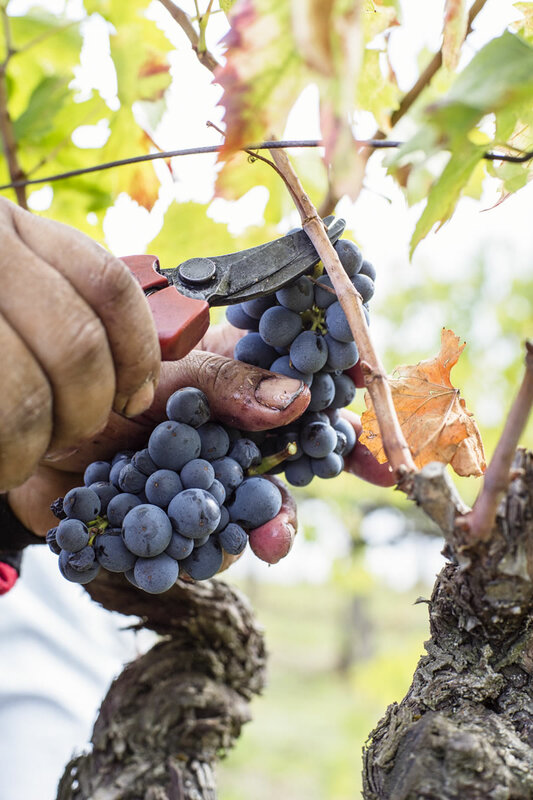 In Campolungo, part of the “human capital” of Lamole di Lamole picks grapes methodically. Marco from Figline Val d’Arno – a 55 year-old man sporting a hat for sun protection and a shirt with thin stripes – is an expert. 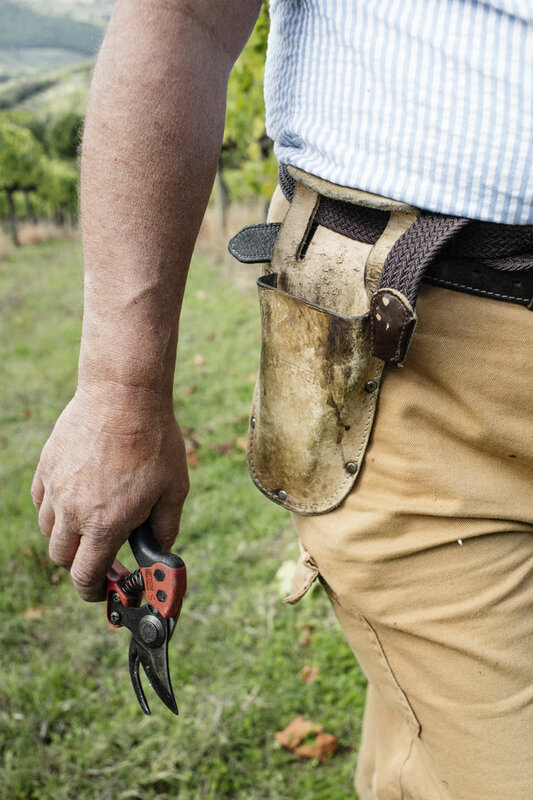 “I’ve been involved in wine harvesting since I was 10 years old, that means I’ve been doing it for 45 years, and I think this happens to be a perfect year,” he says while he works. 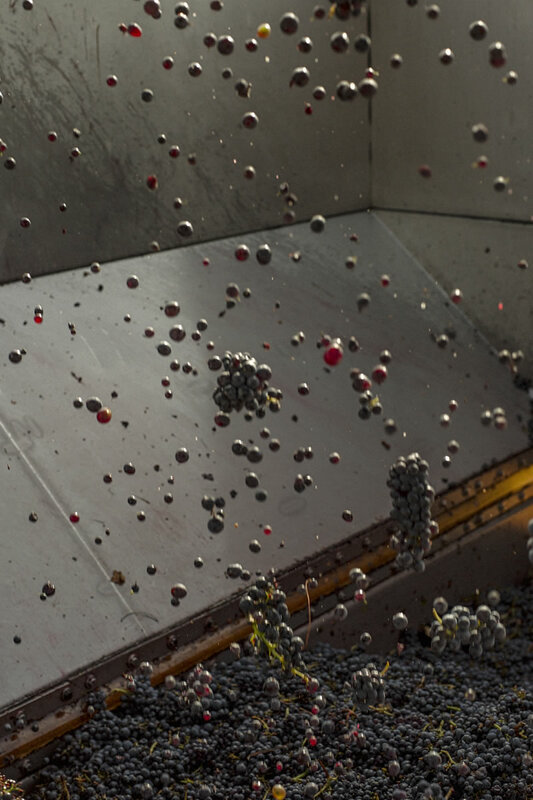 After the harvest, grapes are loaded onto tractor crates, which can contain up to two and a half tons each. They make a short trip before reaching the cellar, where they will be transformed into wine: all the vineyards are close to the edifices, in a matter of minutes by car. The gray gate slowly opens and grapes make their entrance under the amused eyes of one American family ready to take a peek and taste. The beauty of harvest is really evident at this stage. What was once done using large wooden buckets, barefoot, today is mechanized (rightly so) and checked by super attentive staff: grapes are unloaded, stalks are removed (they will be recycled, another step in making production sustainable), and grains are selected from a machine that assesses the color, size and thickness of the peel. Peels and grapes will ferment for just over a week in the same tank, to finally then be divided in the drawing off stage (called racking). Outside, the scenario is very familiar – peering through the windows of the cellar, you can see there are some leftovers on a table. It is an “improvised canteen” for those who work here. Bottles of red wine stand out on a waxed floral tablecloth. Touché. The sight is topped off by the smell of sweet grape juice intoxicating the pungent October air and the rumbling sound of tractors in the background. Picking grapes in Campolungo does not stop until five in the afternoon. 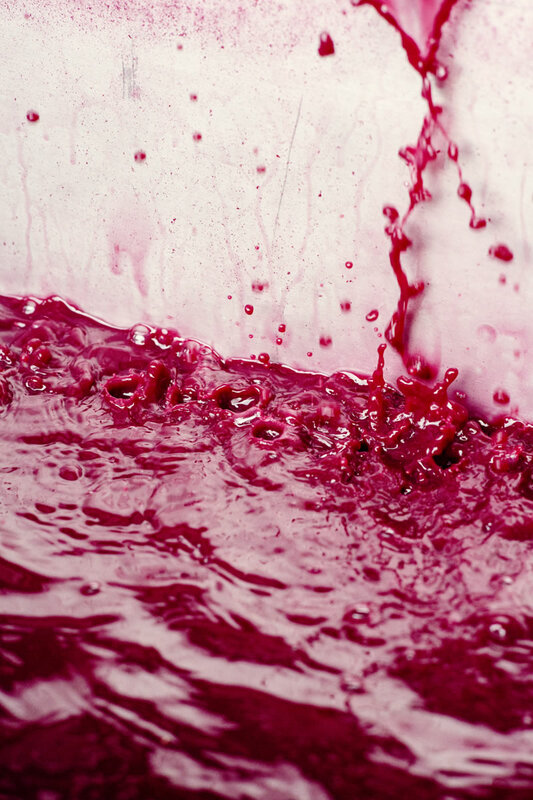 “The process is lived with feelings of participation and enthusiasm: the transformation of grapes into wine recalls the cycle of nature itself.” Once this early catharsis occurs, wine will need time to rest and to mature slowly. 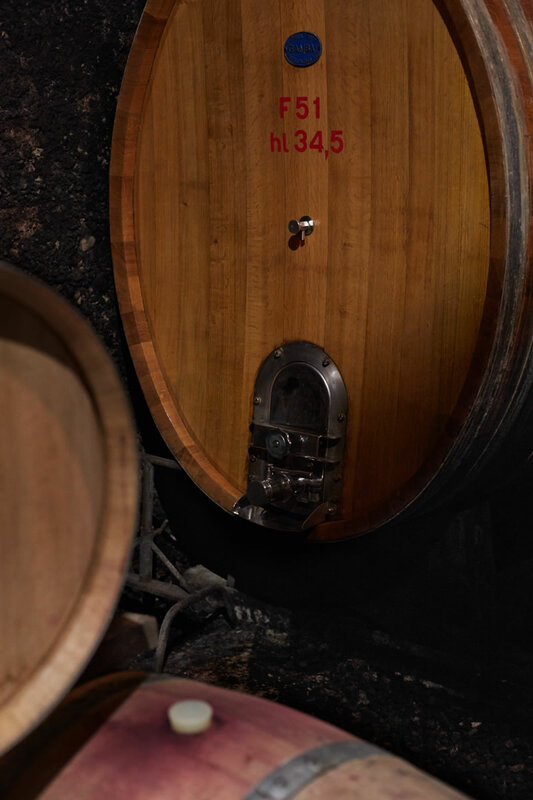 It will initially be stored in large steel tanks, whose temperature is meticulously kept under control by staff, and then transferred into wooden barrels for the crucial stage of refinement – this is what the French call élévage, a term that connotates the idea of wine elevating towards higher and more ambitious goals. 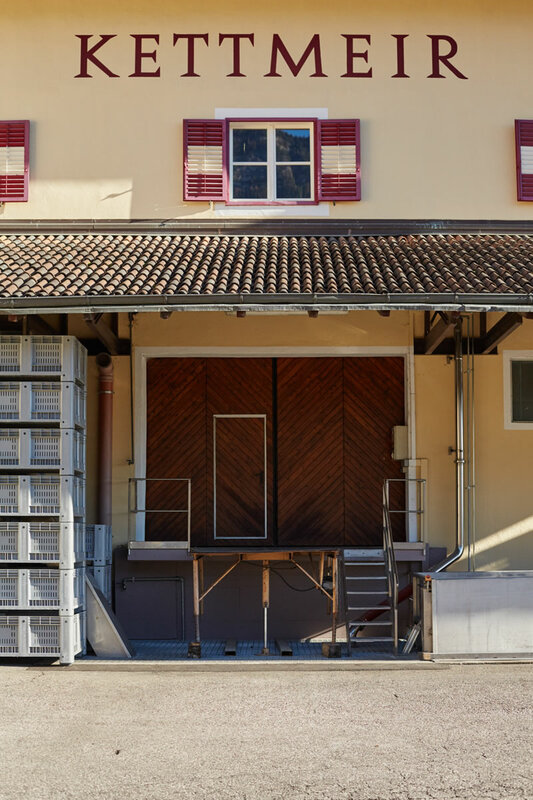 Located in Caldaro, one of the largest wine districts of Alto-Adige (800 hectares of vineyards, second only to the Municipality of Appiano) the Kettmeir Cellar represents the northernmost corner of Santa Margherita’s precious oenological mosaic. The Marzotto family has owned Kettemeir since 1986, but the Santa Margherita brand has been present in the northern Italian region for a number of decades: Pinot Grigio is one of its signature wines, and it is here that it all began. In order to extend its business to Trentino Alto-Adige, Santa Margherita enlisted the help of some key figures of the wine making world, who liaised with local grape producers on behalf of the Venetian company, ensuring a smooth entry into the local market and the successful launch of a new branch in their business. Among them are Bruno Pojer, owner of Salorno’s Maso Reiner and Luis Von Dellemann, from Cantina di Andriano. Both have played a fundamental role in bridging the gap between the regional markets of Veneto and Trentino, choosing to believe in the Marzotto family and their passion for wine making. Both Bruno Pojer and Luis Von Dellemann believe that Santa Margherita is ‘the guardian of Alto Adige’, attributing it the merit of bringing this wine district to international fame. His nickname ‘King of White’ says a lot about his personality as well as his taste in wine. Authoritative, but not authoritarian, Bruno Pojer began to collaborate with Santa Margherita towards the end of the Fifties, continuing to do so with rigor and professionalism, for over half a century. Another key development in Pojer’s professional career took place in 1986, when Santa Margherita bought Kettmeir. “In those years I was also working as a sales representative for a cork factory in Friuli. One day, while I was visiting Kettmeir for work, the owner, Franco Kettmeir, asked me to follow him into his office. He explained that he wanted to sell the company, and asked me if I knew of a potential buyer. I immediately phoned Dr. Marcer, who at the time was working as a managing director for Santa Margherita. He spoke to the president, Count Umberto Marzotto, and called me back after a couple of hours, asking me to find an engineer who could carry out the relevant financial assessments and come up with a quote. Within a month, I was able to get the governor of the province on our side and we wrapped up the deal.” This was the beginning of a new adventure for Santa Margherita. Luis Von Dellemann doesn’t need an introduction. He is one of the great masters of modern oenology in Alto-Adige, having consolidated his legendary reputation over the past fifty years. Von Dellemann took the first few steps towards becoming an winemaker when he enrolled in the prestigious oenology school of San Michele all'Adige in 1951. After he graduated, Luis moved to Switxerland for work. He came back when he was 23 and was precociously offered a job as an oenologist at Cantina di Adriano.